They say freedom lies in being bold. 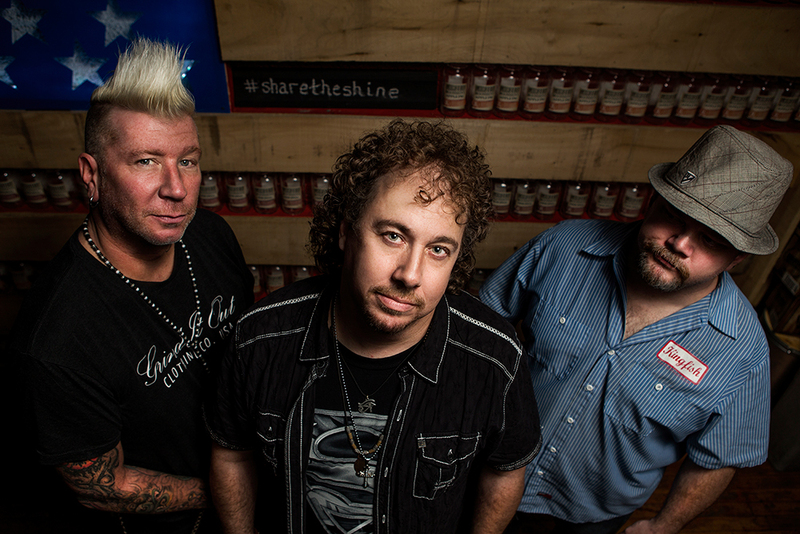 For the accomplished professional musicians in the modern rock trio Save The World, that means taking time out of their hectic schedules to form a band that plays the music they love, and then paying forward the good vibes with soaring hooks and uplifting messages. 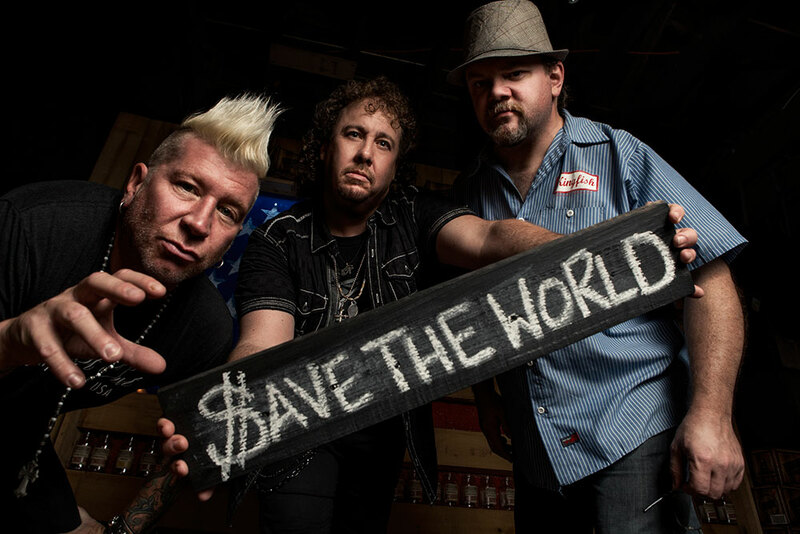 Save The World pens emotionally charged songs with rich, melodic choruses. The trio share an almost telepathic artistic interplay that forgoes genre conventions in favor of a signature sound that’s modern, anthemic, and refreshingly dynamic. films, and performed and recorded with a variety of established musicians—currently, he plays guitar and sings in the Alan Parsons Live Project. Robert Wright draws recognition onstage and in the studio as a multi-instrumentalist, a songwriter with multiple artist cuts and publishing deals, and as a producer, where he topped the Billboard Country Album charts multiple times and earned many Gold and Platinum album awards. Jon Wysocki is best known as the founding member of the chart-topping, multi-million record selling modern rock band Staind from the band’s halcyon years, 1995 until 2011. Unlike other bands with esteemed résumés, Save The World’s origins are humble. Dan Tracey and Jon Wysocki both came up in the Springfield, Massachusetts music scene. Over the years, they admired each other’s wildly divergent paths. Tracey became an in-demand Nashville musician, and Wysocki was in one of the biggest rock bands of modern times. Robert Wright and Dan Tracey met in Nashville—where Tracey relocated over 20 years ago—and had an instant artistic rapport. Tracey was the intermediary between Wright and Wysocki. 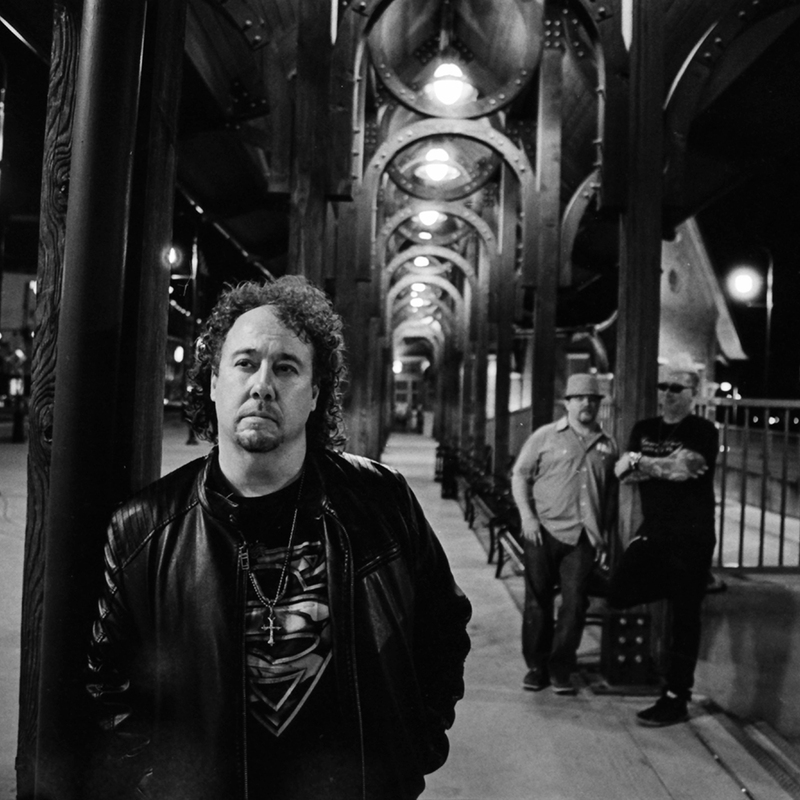 That fateful first band meeting, at Capricorn Soundworks in Nashville, was to record STW’s debut single “Bleed.” Dan wrote the melody-driven masterstroke song in his van on the way back from a gig—it was the first rock song he had written in years. The song is undeniable. “I wasn’t interested in starting a band,” Tracey reveals. “We all have so many obligations pursuing different endeavors and touring with different artists.” But recording that track that day was epiphanic. “I was in a band years ago that had a unique sound, and I always regretted leaving it. Here was another chance to do something I believed in and felt passionate about,” he confides. The band’s leadoff single, “Bleed,” is both cathartic and catchy, a gut-punch of melody that unpacks the tattoo trend in a profound way. “The meaning of the song hit me when I was getting ready for that morning’s sessions—the pain of getting tattoos allows people to let out their pain and their dreams. It’s a release,” Tracey says. “I then called Robert at 8:30 in the morning and woke him up to tell him about the lyrics and video concept.” The video interweaves emotive narratives with performance footage for an arresting effect. Hey ADD kid who just can’t sit still / I’m gonna fix you by breakin’ your will / Focus on things that you don’t adore / Rewire your heart so you’re fully restored. STW also has majestic Prog-Rock epic “Princes and Thieves” written in the tradition of classic Alan Parsons Project, but played by the guys, it’s unmistakably Save The World.